Winners of the EA of the Year Award with JD Kathuria. Dedicated. Professional. Enthusiastic. Above and beyond. Those are just some of the words used to describe Monica Carter, executive assistant to the senior vice president for business development and sales at Perspecta, in her nomination for an EA Award of the Year as part of the 2018 Pinnacle Awards. Earlier this month at a ceremony at the Ritz Carlton Tysons Corner, Carter was named one of five EAs at public-sector companies winning the top honor. Carter “routinely goes above and beyond the call of duty in delivering an exceptional customer experience, a phenomenal first impression and serves internal and external customers with professionalism, enthusiasm and care,” according to her nomination form. Also cited was her work over the past several years as the company’s coordinator for the American Heart Association fundraising efforts. Thanks to her work, the company raised over $200,000 in donations. Carter also coordinates the Perspecta’s fundraising for the Home of the Brave and Susan G. Komen Race for the Cure. 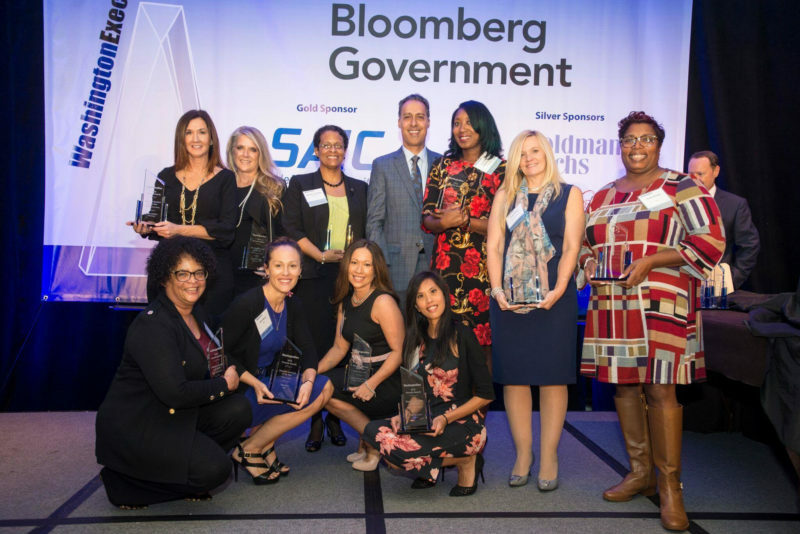 The 2018 Pinnacle Awards, which honor leaders and influencers in the GovCon space, were presented by WashingtonExec on Nov. 5. Winners were named from list of 50 finalists across 13 categories. In the category of EA of the Year, five EAs from public companies and six EAs from private companies were honored with the award.